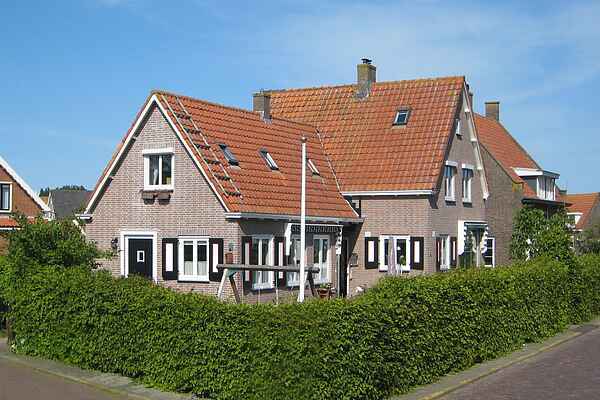 Centrally located in the quaint village of Marken, between the Gouwzee and IJsselmeer, cozy decorated part of a house. Nice detail is that the house until 1991, acted as a post office! An ideal excursion to Volendam and Amsterdam (25 km), or hiking and cycling in the area Waterland. The house owner lives next door. Marken is an island, this means that you will need a license to drive on the Island. The homeowner will send every guest a copy of this special license a few days before arrival. The homeowner will also reserve a parking spot for the guest. For more information please contact our customer service. There are free bikes available for you to use. Marken is a historical village, known for its wooden houses on mounds or built on poles, and naturally the colourful traditional clothing. The village is situated on a short (cycling) distance from picturesque villages such as Monnickendam, Edam and Broek in Waterland. Not forgetting the famous Volendam, which can be reached from Marken by boat. There is a direct bus connection to the center of Amsterdam, with countless museums and many other attractions. In short, enough to enjoy in the surrounding, but also very suitable for those seeking rest!